This week I found myself moving toward the dark side. 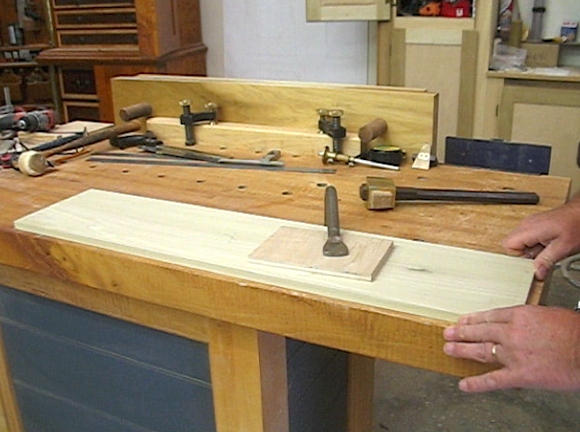 I installed bench holes so I could use a holdfast. Why a holdfast? I am working on a piece that has 10 drawers – 10 hand-cut dovetail drawers. I couldn’t stand the idea of turning an F-style clamp that many times, so I opted for the holdfast. Below is a short video that shows the process. It is too easy! Dark side? cuz you drilled a hole in your bench? Dark side not due to the fact that I drilled my bench, but because I drilled it to use a holdfast.